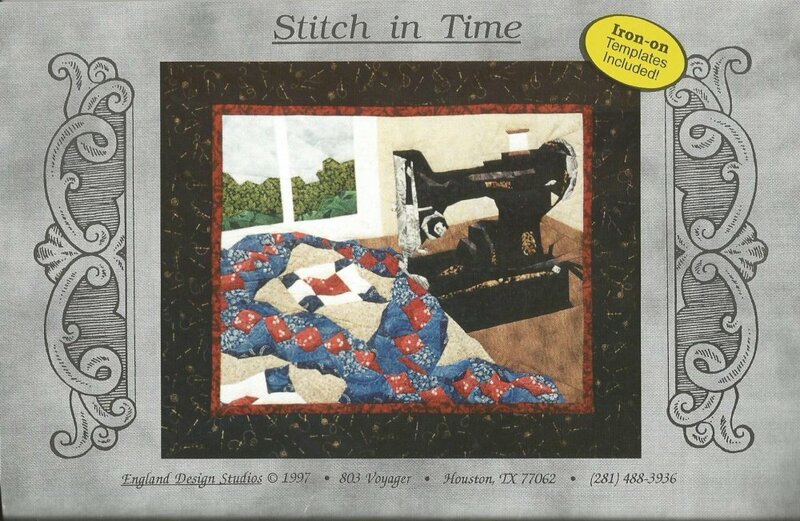 Stitch in Time pattern by Cynthia England. 20 1/2" x 24" finished size. This pieced design features 'Picture Piecing', an original technique using freezer paper. It is entirely machine sewn. this pattern has only straight seams, there are no "set-in" angles to worry with. Iron-on freezer paper templates included. Cynthia has online video demos on her web site. This pattern is considered "Advanced Picture Piecing". Full-color fabric selection chart inside pattern. Nova has done this quilt. Is was challenging, but a lot of fun.